For many it’s a mantra. For others, an over-hyped trope. I plead guilty to advocating this pursuit — a subject worthy of frequent exploration on the podcast. But is a life propelled by passion always the best course of action? Passion can be a gift. But only if you know how to properly channel it. The same drive that fuels breakthroughs — whether they’re athletic, scientific, entrepreneurial, or artistic — can be every bit as destructive as it is productive. Unchecked by balance (that other culturally touted virtue), passion can manifest as a curse, leading to endless seeking, suffering, and burnout. Simply put, passion is a paradox. To demystify this important subject, my friends Brad Stulberg and Steve Magness return to the podcast (their 1st appearance was RRP 293 back in June 2017) to explore how to develop, harness and express the right kind of passion to unlock potential and actualize a meaningful, purpose-driven life. Long time listeners might recall Steve as a former elite track & field athlete who clocked an extraordinary 4:01 mile in high school. Today, Steve is one of the most accomplished, respected and in demand track & field and cross country coaches in the world. In addition to serving up duties at the University of Houston, he is the personal coach to some of the most accomplished professional and Olympic runners on the planet. In addition, he consults with start-up technology companies on innovation and growth, holds a Master’s degree in Exercise Science from George Mason University, and serves as an adjunct professor at St. Mary’s University in the United Kingdom. Brad is a former McKinsey & Co. health care consultant turned writer specializing in the health and science of human performance. Lauded for his ability to merge the latest science with compelling personal stories and practical insights, his work has been published in The New York Times, Outside Magazine, New York Magazine, Forbes, NPR, The Los Angeles Times & Runner’s World. Together, Steve and Brad are the co-authors of Peak Performance: Elevate Your Game, Avoid Burnout, and Thrive with the New Science of Success, a science-based primer on the principles that drive and sustain high performance in sport, business and life. 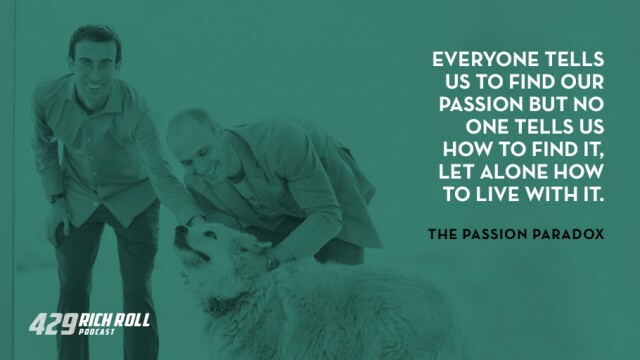 This week marks the publication of their latest collaboration, aptly titled The Passion Paradox: A Guide to Going All In, Finding Success, and Discovering the Benefits of an Unbalanced Life. A fascinating look int0 the science behind passion and it’s double-edge-sword nature, it’s a must read for anyone searching for that spark or how to best harness its magical powers to unlock inner potential. Today’s conversation is a wide-ranging exploration into the very nature of passion. Chock-a-block with scientific takeaways & experiential insights, we examine the pros and cons of this intoxicating impulse. We mine how one finds and cultivates the kind of passion that lets you achieve great things without ruining your life. How passion unchecked can devolve into unhealthy obsession. The best route to avoid this and other dangerous downsides. And the biological and psychological factors that give rise to and ultimately sustain passion’s magical powers. Click here to watch our conversation on YouTube or listen on Apple Podcasts or Spotify. 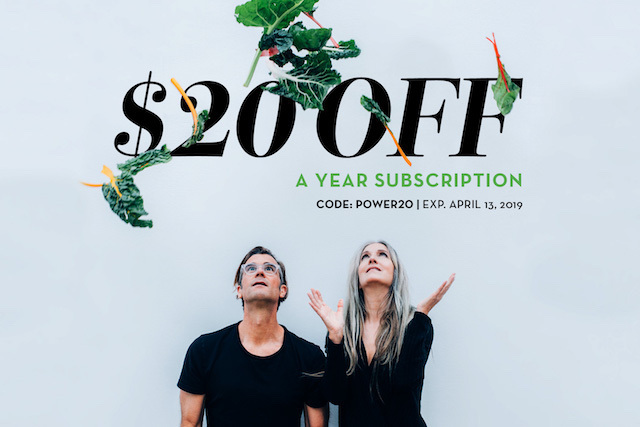 Special Offer: If you’re looking to dial up your nutrition, right now you can get $20 off the annual membership fee to The Plantpower Meal Planner when you use the code POWER 20 at checkout. Offer available through April 13, 2019. To learn more and sign up, visit meals.richroll.com. I love these guys and thoroughly enjoyed this conversation. I sincerely hope you do as well. Eero: Life is too short for bad WiFi! Let Eero blanket your home in fast, reliable and secure internet connectivity. For free overnight shipping to the US or Canada, visit eero.com/richroll and at checkout select overnight shipping then enter RICHROLL to make it free! Get $100 off our best-selling WiFi system and a year of eero Plus. Just use code RICHROLL at checkout.